Tuesday evening was the 1st grade musical. We are so lucky to have a great music program that plans annual concerts for each grade. 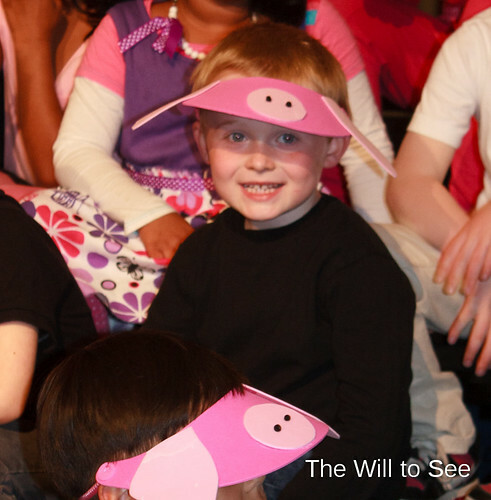 Each of the classes were a different animal, Jack’s was the pigs, but they didn’t make the correct sound. It was a very cute story. The kids sang seven songs and many had small speaking parts, including Jack. He was so excited to say his line. I am still humming one of the catchy tunes. I am singing one of those songs too!